Pictures of sea shells are sure to give you nostalgia of combing a beach for hours on end trying to find that truly unique and perfect sea shell. A "palafita" is an erected structure on a body of water. 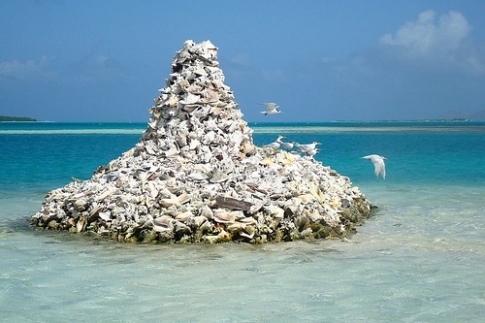 In this case multiple queen conch shells where stacked to create a monument or "palafita". You can even see some seagulls perched for a little rest. Attracted by the warm waters of the Caribbean, it is soft bodied and resides in a hard outer shell surviving on grass and algae. Because of its beauty, they are harvested, eaten and sometimes sold as ornaments. Unfortunately, conch has been over-fished in some Caribbean waters. Some countries have been able to maintain their numbers. 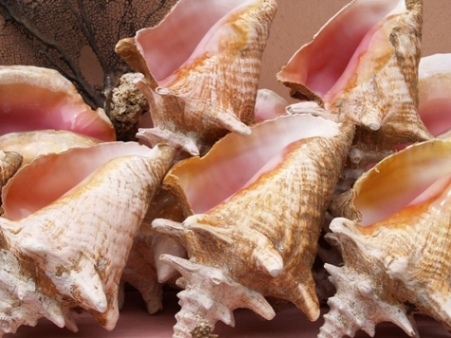 Conch is generally found on the coral reefs of the Caribbean islands of the Bahamas, Turks and Caicos and Grenada. 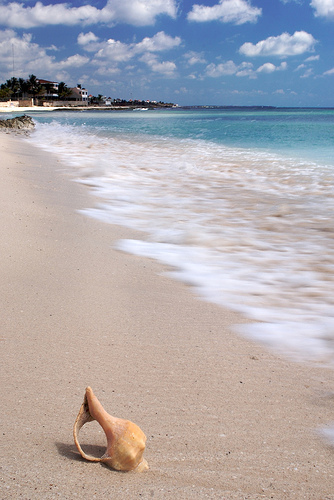 This gorgeous beach is filled with conch shells to collect. 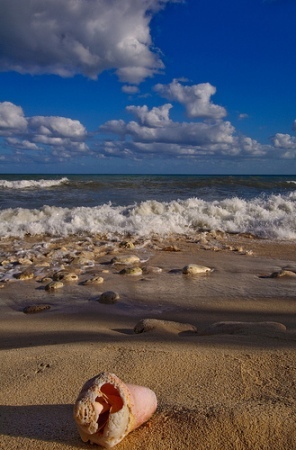 You can also enjoy soft sand, clear and blue water that was exceptionally calm .